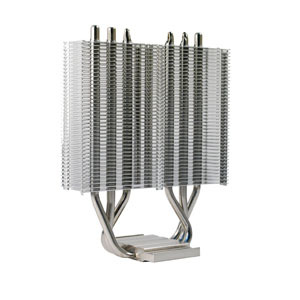 Prolimatech's first cpu cooler for entry level computer system, Lynx!Lynx has three high quality nickel plated heatpipes with aluminum fins for effective heat transfer.The compact design provides high compatibility, perfect for small chassis. It supports Intel socket LGA 1155/1156 and AMD AM2/AM2+/AM3/AM3+/FM1/FM2.One 120x120x25mm PWM fan (800~1600 rpm) is included and it is also possible for adding fan to maximizecooling performance! Equipped with one 120x120x25mm PWM fan (800~1600 rpm). Option for adding 2nd fan to maximize cooling performance. Flexible mounting kits for Intel socket LGA 1155/1156 and AMD AM2/AM2+/AM3/FM1/FM2. Compact tower cooler, perfect for small chassis.